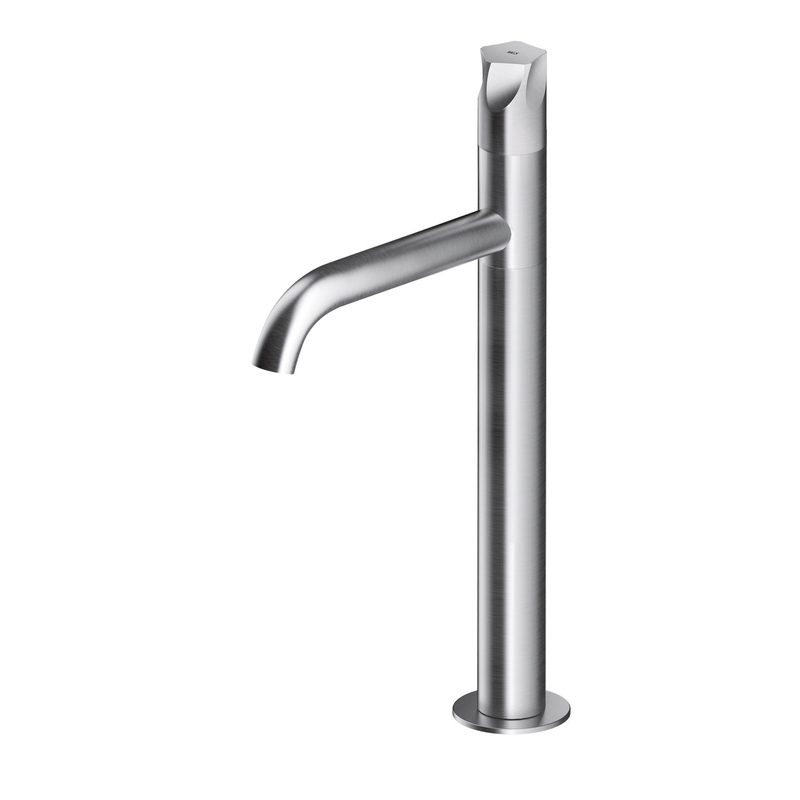 Single hole tap – curved spout with integrated aerator. Solid stainless steel construction, available in matte and polished stainless steel. Also available in our exclusive PVD finishes : Black Steel, matte Titanium, matte Rose Gold, matte gold. Hand polishing takes place before assembling the product, which results in a seamless finish in all the edges. Marine grade AISI316 – ideal both indoor and outdoor – 100% lead free. Lower version PE289 is also available. High precision machined ergonomic handle carved out of a solid bar of steel.